Texas Tech University System Chancellor Kent Hance announced that Dr. Richard Lange has been selected as the sole finalist for the position of founding president and new dean at the Texas Tech University Health Sciences Center (TTUHSC) at El Paso. Texas law requires officials to name a finalist at least 21 days before hiring the candidate. He will begin his duties July 1, 2014. 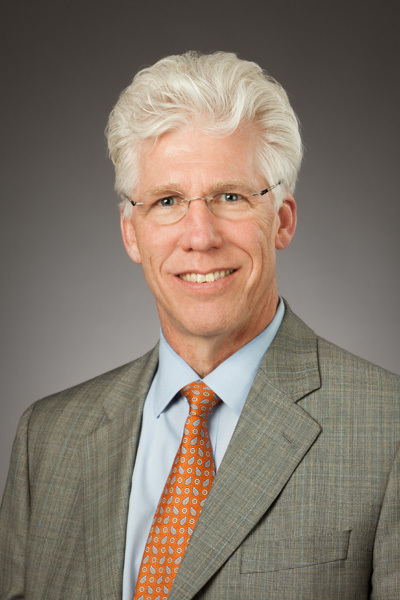 Lange, 58, currently serves as vice chairman of medicine and director of educational programs at the University of Texas Health Sciences Center (UTHSC) at San Antonio. A tenured professor at UTHSC at San Antonio, he was formerly tenured and continues to hold a faculty appointment at Johns Hopkins Medicine in Baltimore. Lange obtained his B.S. in biochemistry from the University of North Texas and M.D. from the University of Texas (UT) Southwestern medical school in Dallas. After completing his internship and residency training at Johns Hopkins Hospital, he returned to UT Southwestern for fellowship training in cardiology. He subsequently joined their faculty, where he became director of the Cardiac Catheterization Laboratory. At UT Southwestern, he served for many years as the Fellowship Program director, held the Jonsson-Rogers Chair in Cardiology and was director of the Bernard and Audrey Rapoport Center for Cardiovascular Research. In January 2004, he relocated to Maryland to serve as chief of clinical cardiology and the E. Andrus Cowles Professor at Johns Hopkins Hospital. At both Johns Hopkins and UTHSC at San Antonio, where he joined the faculty in 2008, Lange received numerous teaching awards from students, residents and fellows. “To have someone with the qualifications and experience of Dr. Lange as our sole finalist for the founding president and new dean in El Paso, is a tremendous feather in the cap of the TTU System,” Hance said. He has been president of the Texas American Heart Association Affiliate and an active and productive clinical investigator publishing more than 300 journal articles and book chapters dealing with ischemic heart disease, valvular heart disease and congenital heart disease in adults. In his current role at UTHSC at San Antonio, Lange has oversight of 12 medicine subspecialty divisions, including clinical, research and educational efforts. The department is comprised of 250 faculty members with an annual budget of $50 million. At Johns Hopkins, Lange led the drive to increase research funding by 60 percent to $39.5 million and establish new satellite clinical programs, and spearheaded the effort to raise funds for a new hospital. Lange said he is excited about the opportunity to lead the fourth and newest university in the TTU System. Lange is married to Joy Bobette. They have three children and two grandchildren. Dr. Tedd Mitchell has served as interim president of TTUHSC at El Paso since its establishment as a comprehensive university in May 2013. He will continue to serve in his role as president of TTUHSC in Lubbock. The Texas Tech University System is one of the top public university systems in the state of Texas, consisting of four component institutions and operating at 12 academic sites and centers. Headquartered in Lubbock, Texas, the TTU System has an annual operating budget of $1.7 billion and approximately 17,000 employees focused on advancing higher education, health care, research and outreach. In 2013, total research expenditures approached $200 million and total enrollment exceeded 44,000 students for the first time in the TTU System’s history. Whether it’s contributing billions of dollars annually in economic impact or being the only system in Texas to house an academic institution, law school, and medical school at the same location, the TTU System continues to prove that anything is possible.